Right now, it's the place to be and, as a result, CoreNet UK's membership is growing - currently over 630 with 40% of members being occupiers of corporate real estate. Chapter events attract an average of 60 members and the annual Summer Party attracts 700+. CoreNet supports its members to adapt and succeed in this changing economy. It helps them to keep abreast of development trends within the industry and up to date on new trends. 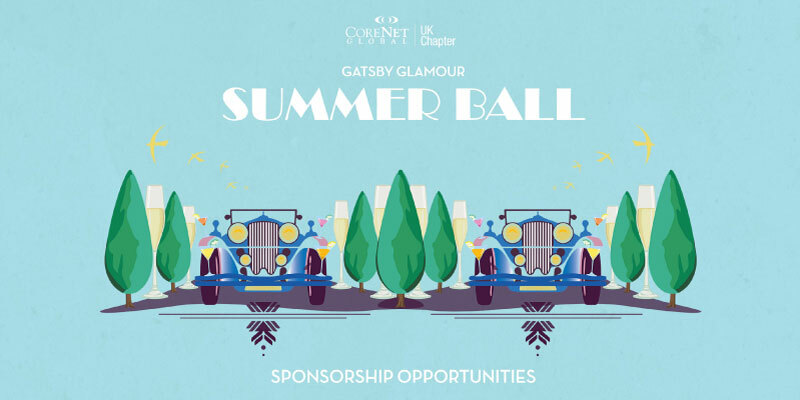 Please click here to view all the sponsorship opportunities at the Summer Party 2019.